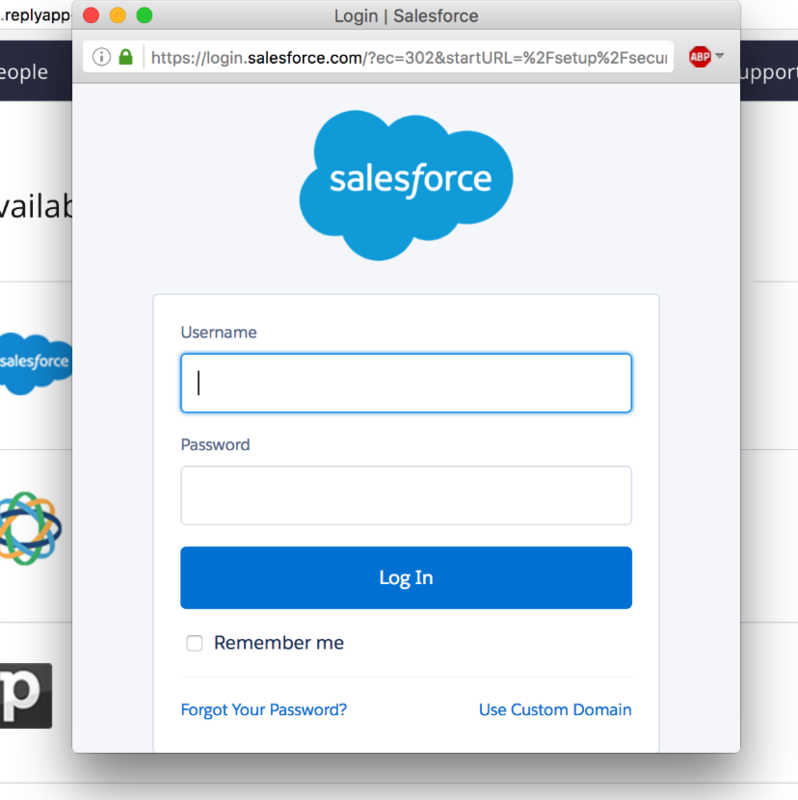 This article describes how to integrate Salesforce with your Reply account and automate your daily workflows using the Salesforce plugin. You can begin integration using the direct link or from your Reply account. To integrate from the account, open the Integrations tab, find Salesforce in the Available integrations list and click Connect. After you have successfully logged in, the system prompts you to install the plugin. Select a corresponding option based on your privacy settings, a click Install. After you click Install, the system opens the Approve Third-Party Access window. 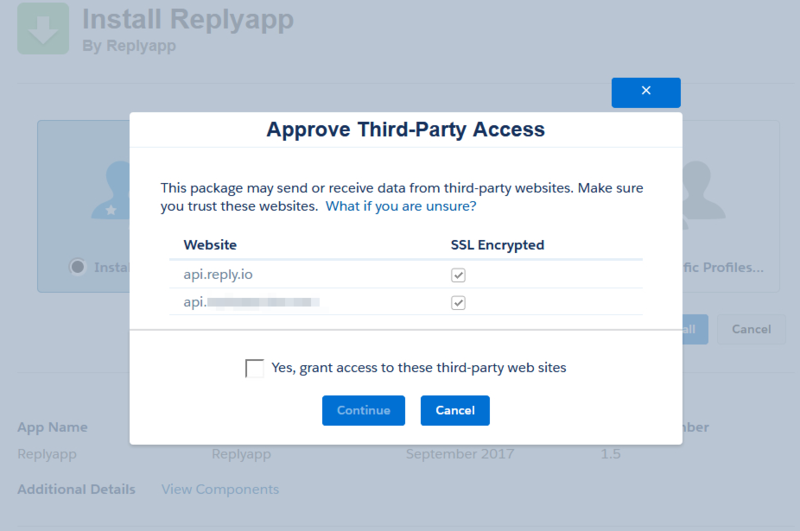 Check the Yes, grant access to these third-party websites check box and click Continue. To configure the plugin, click Done. On the Installed Packages page, open Build - Customize - Leads - Page Layout menu. Under the Page Layout Name column, Lead Layout field, click Edit. Drag the Reply buttons (Add to Reply, Push to Reply Campaigns, Send email via Reply) from the Lead Layout buttons section to the Custom buttons section in Lead Detail. On the Installed Packages page, open Build - Customize - Contacts - Page Layout menu. 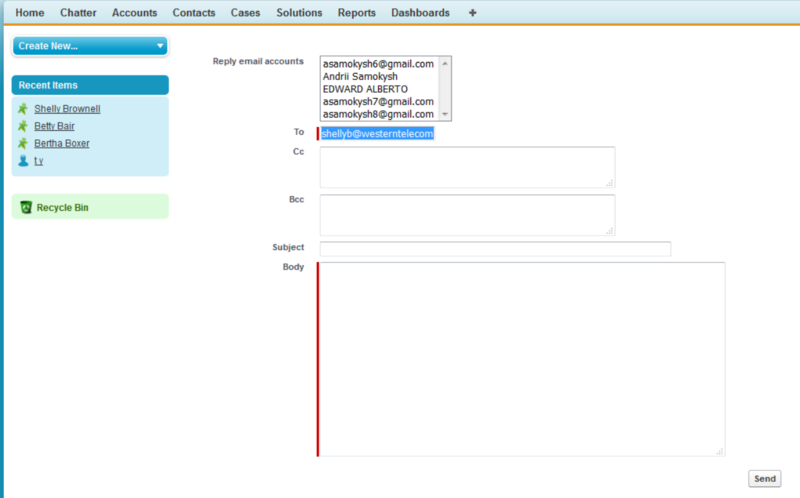 Under the Contact Layout Name column, Lead Layout field, click Edit. Drag the Reply buttons (Add to Reply, Push to Reply Campaigns, Send email via Reply) from the Lead Layout buttons section to the Custom buttons section in Contact Detail. On the Installed Packages page, open Build - Customize - Contacts - Search Layouts menu. In the Contact Search Layouts table, under the Layout column, Search List View field click Edit. 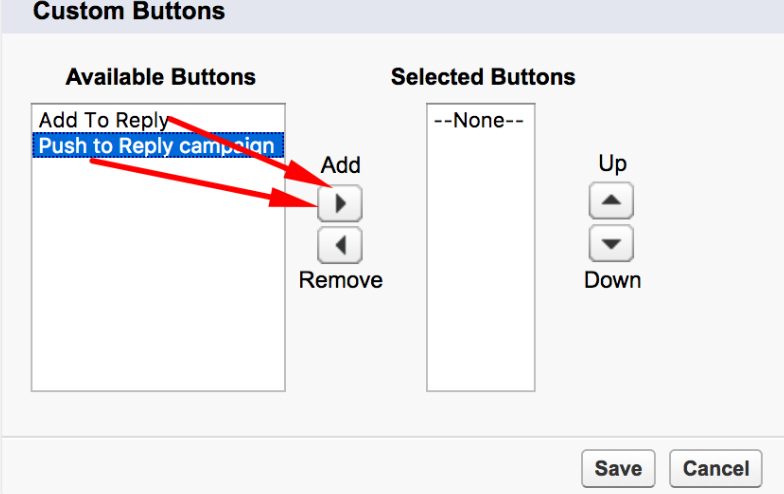 In the Available Buttons menu, select and add the Add to Reply and Push to Reply campaign buttons. On the Installed Packages page, open Build - Customize - Leads - Search Layouts menu. In the Lead Search Layouts table, under the Layout column, Lead List View field click Edit. After you have connected the plugin, navigate to the Leads tab to begin using it. Select leads you want to add to Reply. After you have added the leads, you can find them in the Reply interface under the People page. Note: you can also add the lead to Reply from the lead details page. Select leads you want to add to Reply campaign. Click Push to Reply campaign. After you have push the leads to a specific campaign, you can find them in the Reply interface under the Campaign page, Campaign Name, People tab. 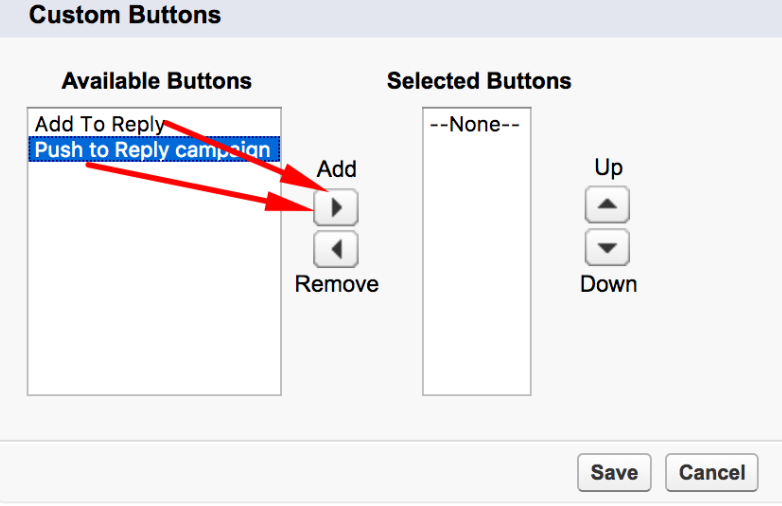 Note: you can also push the lead to a campaign from the lead details page. Important!!! 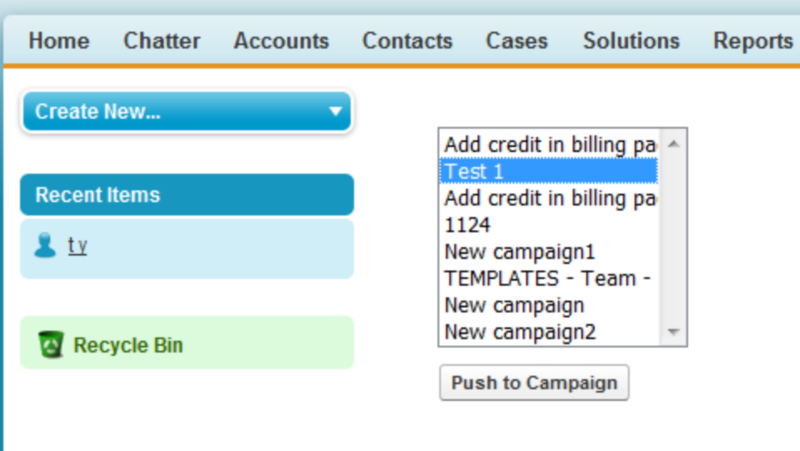 The first-step email is sent immediately even if campaign is paused. Open the lead details page (click on any lead on the Leads page). Click Send email via Reply.